Short on chest for added comfort when sitting. Slip-over design fits all body shapes and sizes. 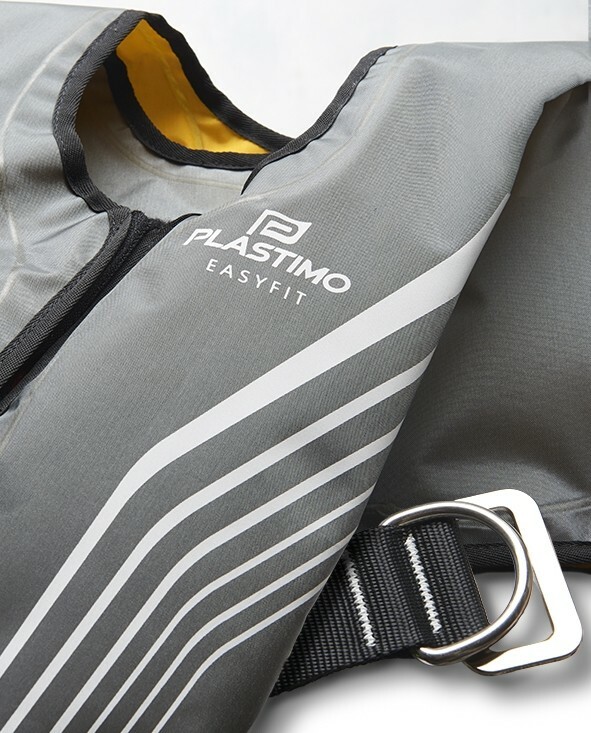 Easyfit is 30 % lighter than most equivalent lifejackets. • Provides total agility and freedom of movement, weight-free on the neck. 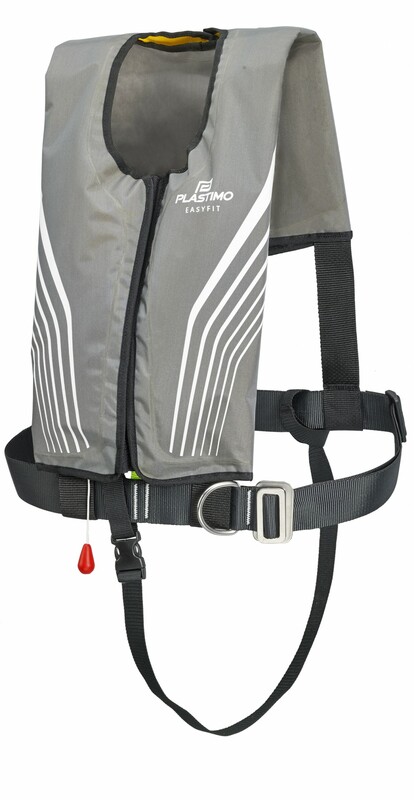 • Lightweight : Easyfit is 30 % lighter than most equivalent lifejackets. • CO2 bottle is horizontal below the sternum, more comfortable than vertical along your chest curves. • Ideal on a sailing jacket : no extra thickness in the neck, that would add to the thickness of the hood folded in the collar. • Stylish design : tailored with modern lines in harmonizing grey and white shades. • Easy to don and belt-adjust. The jacket just fits naturally on your shoulder curves. • Easy to keep-up : rinsing, drying and folding are much easier. • Space saving : jacket stores flat, very practical in lockers or when stowed at home for wintering. Rated 150 N, actual buoyancy 165 N.
Turns wearer in upright position. Sail or power cruising, day outings,(Not suitable for intensive professional use). • Outer side in abrasion resistant certified material. Velcro closure. • Large flap over shoulder blades becomes a cushion to support the head when inflated. • Waistbelt : polypropylene buckle + 40 mm wide polyester strap (fits waistline 60 to 130 cm). 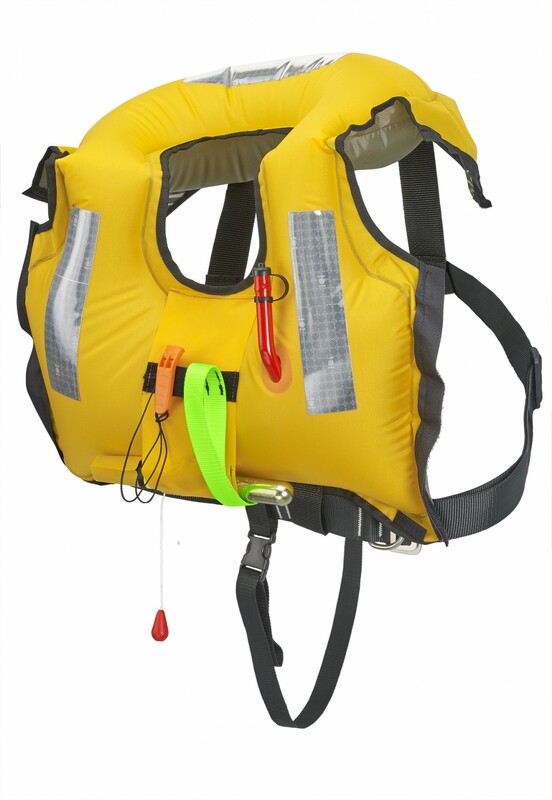 Two 40 mm straps in the back help keep the lifejacket properly positioned when inflated. • Yellow polyurethane, 33 g CO2 gas inflation bottle. • Visibility : strap to secure flashlight (optional) + 300 cm² retro-reflective tapes. • Oral inflation tube, whistle. 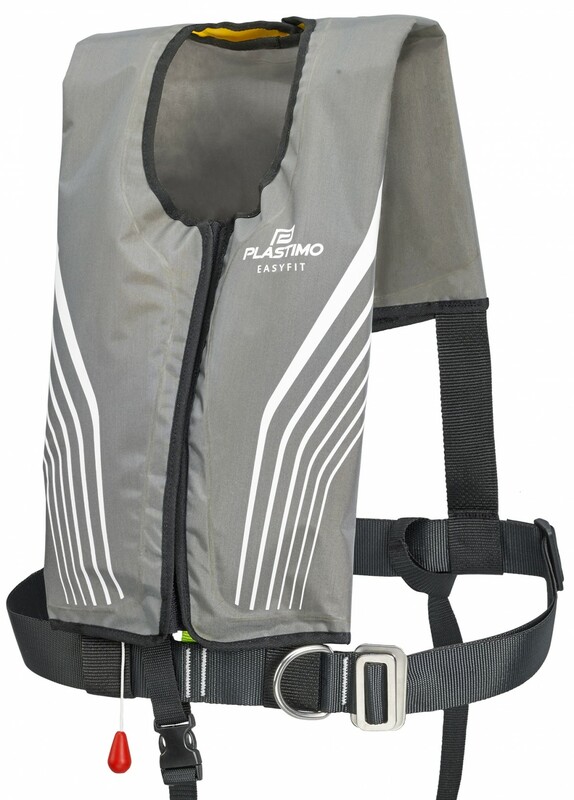 As with all lifejackets, Plastimo recommends to check regularly for potential wear and tear signs and to check the firing system at regular intervals.